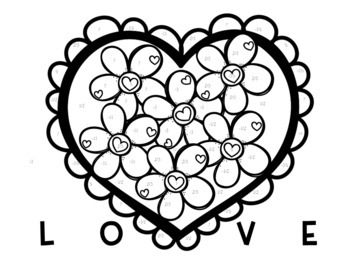 Perfect review for Valentine's Day in middle school! 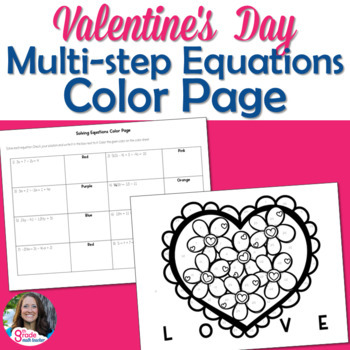 Solve multi-step equations and use the answers to color an adorable "love" color page. 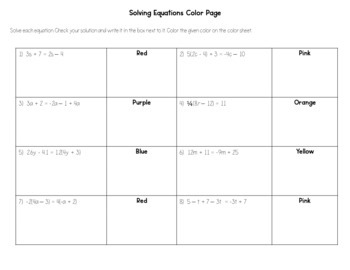 This activity includes 8 equations to solve, most with variables on both sides and includes some rational number coefficients. Students will need to collect like terms and use the distributive property. Be follow me and check out these other products!